If you are interested in becoming a vendor at 2019 Catoctin Colorfest, read the information below. The juried portion of the show will take place in Thurmont Community Park. The application to participate in this portion of the show can be found here. Non juried vendors will line the streets of Thurmont surrounding Thurmont Community Park. To become a vendor in this portion of the show, you will need to contact the individual property owner of the space you&apos;d like to rent. A list of property owners and their contact information can be found here. 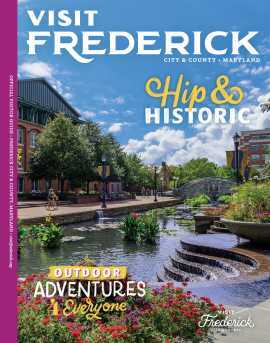 All food vendors are required to provide a copy of their Temporary Food Service Permit from Frederick County to the Town of Thurmont when applying for a Colorfest Permit. A permit from the town cannot be provided without this documentation. Vendors can download the application here. For all vendor Colorfest permitting information, click here. To see a map of the festival area, click here.